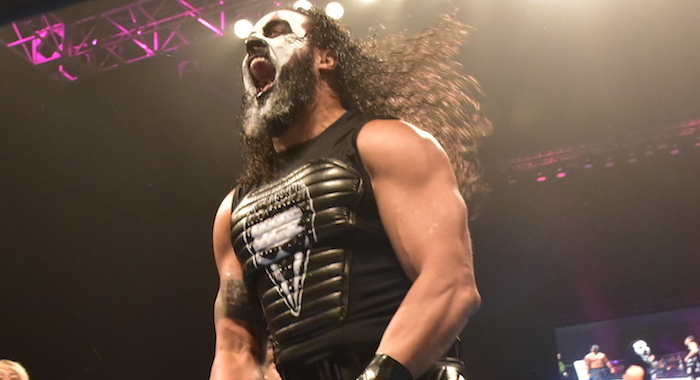 Bullet Club Firing Squad member, Tama Tonga has continued to take shots at The Elite on social media, alluding to them joining WWE. Tonga, who has been very vocal on social media since the storyline began has tweeted to claim that The Elite doesn’t exist without Bullet Club and he then went on to wish them well in WWE. As well as that, Tonga mocked The Elite’s recent run of tweets about their “final” Bullet Club shirts. Cody Rhodes, the Young Bucks, and Hangman Page have all claimed that their newest shirts are their last Bullet Club style shirts and Tonga joined in on the act. The Bad Boy tweeted a new shirt of his own, stating that it is NOT his last shirt affiliated with Bullet Club, because they are the Bullet Club, adding that it is his favorite one. On top of that, Tonga took a direct shot at Hangman Page, asking him who he was before he joined Bullet Club, wishing him well in WWE as well.